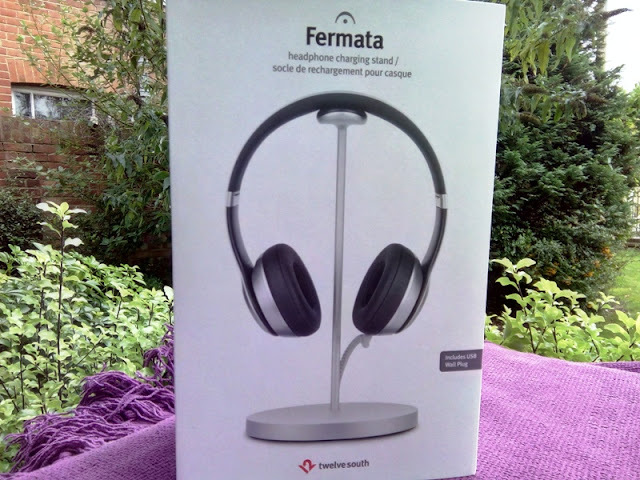 Fermata Bluetooth Headphones Charging Stand By Twelve South! 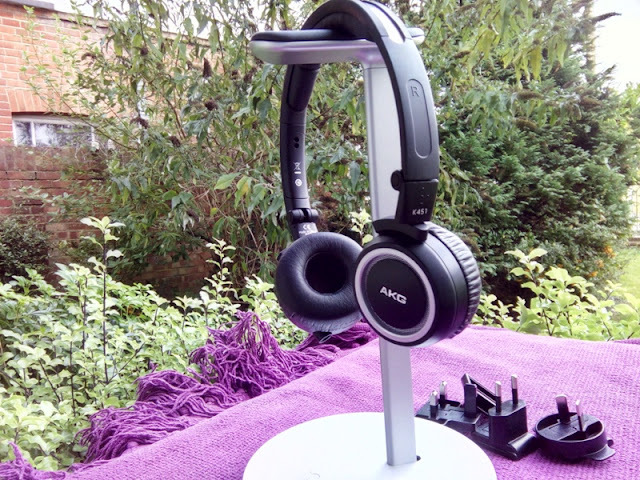 There is no cooler and more practical way to showcase a pair of Bluetooth headphones than on a Bluetooth charging stand! 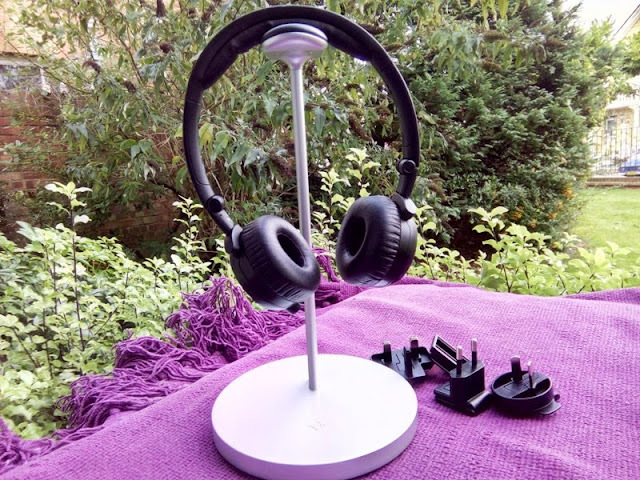 Twleve South's Fermata headphone charging stand allows you to charge any pair of Bluetooth headphones as easy as plugging in a Lightning cable, while making the headphones look cool in the process! 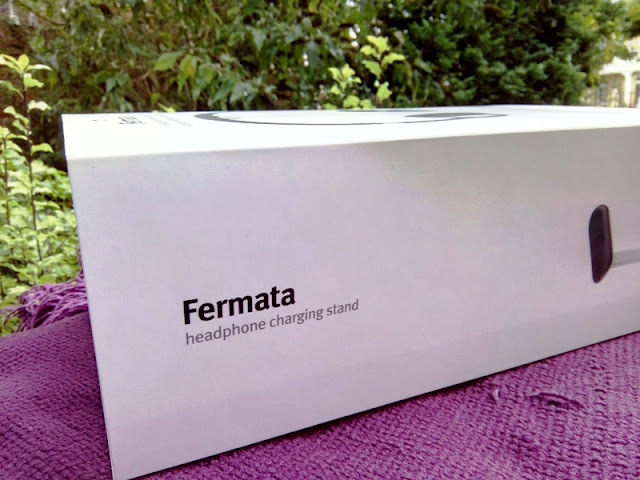 The Fermata Bluetooth headphones charging stand itself comes unassembled inside a protective foam packaging, along with a reversible micro USB flexible cable, a rubberized base and a 10-inch post with leather support saddle on top. 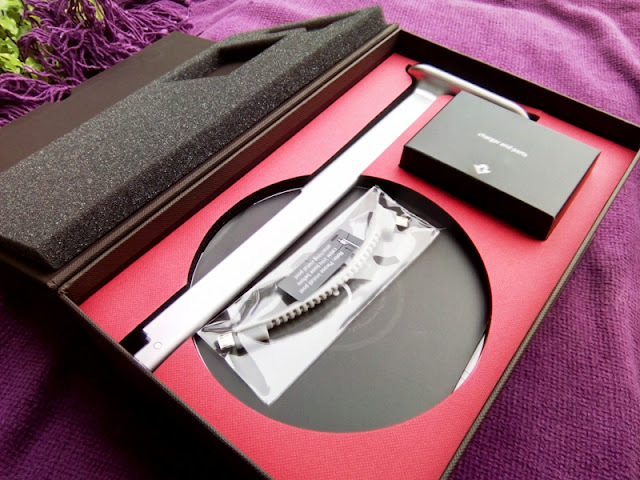 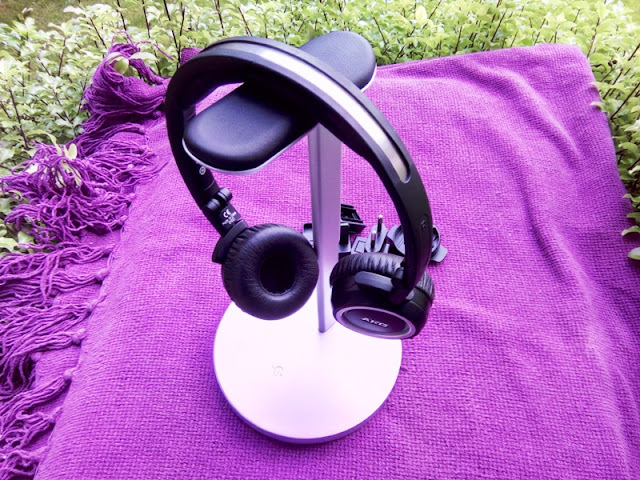 With the Fermata Bluetooth headphones charging stand, you also get a charger & parts which include an Allen key, a screw, earbud hook, USB power adapter and a 2 meter long charging cable. 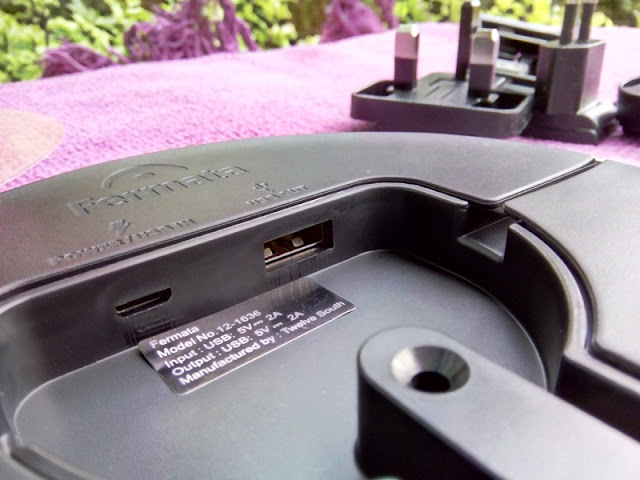 The Fermata Bluetooth headphone charging stand is super easy to put together. 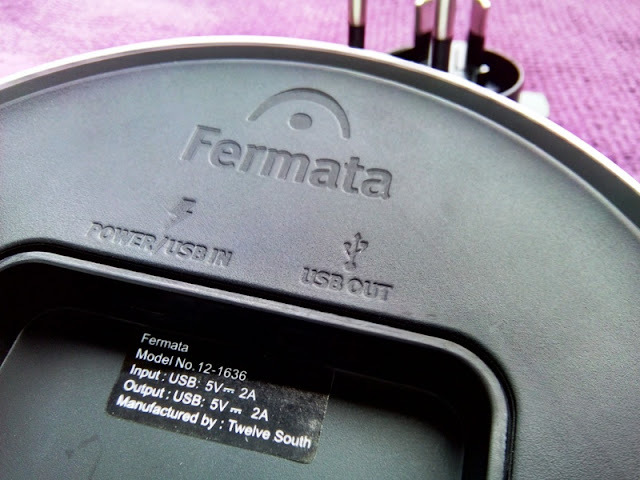 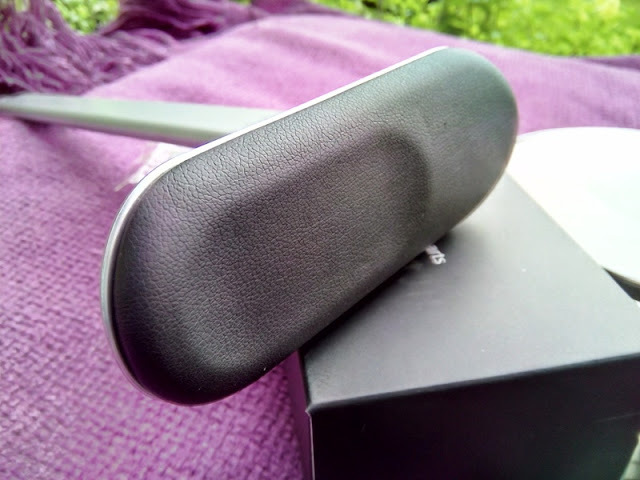 You connect one end of the flexible reversible micro USB cable on top of the base and the other end of the cable tucks away nicely inside the post so it's out of sight, giving the Fermata Bluetooth headphone charging stand a clean look. 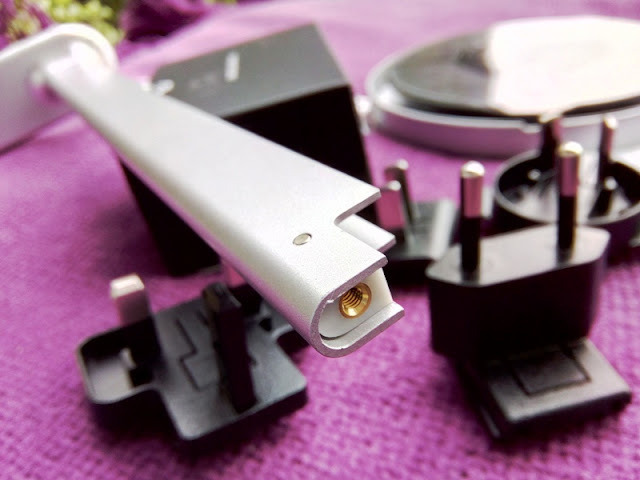 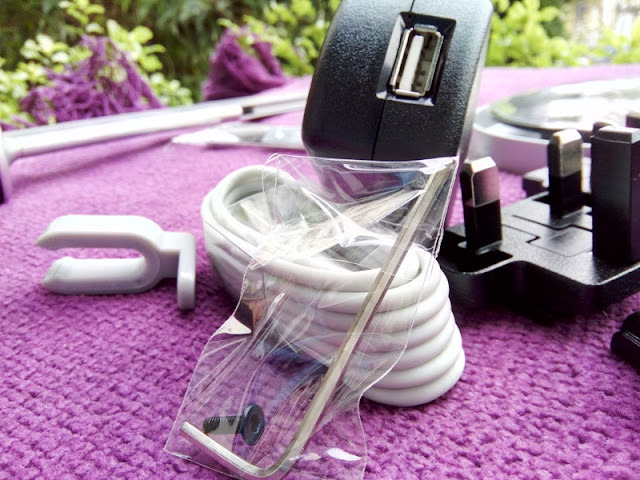 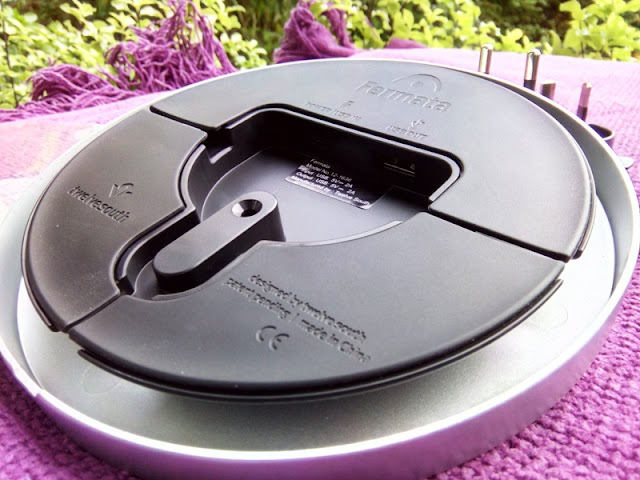 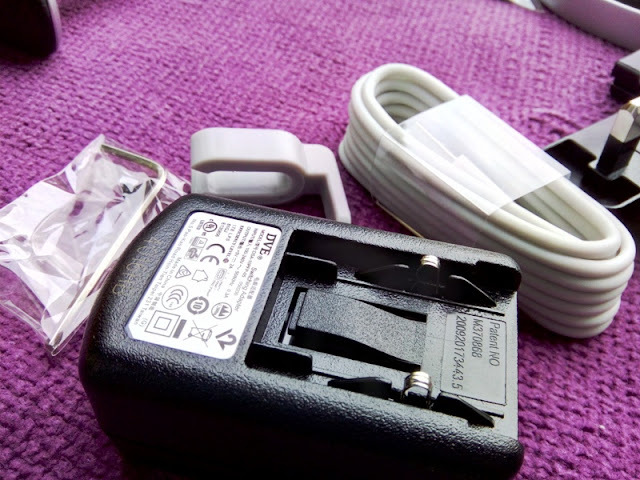 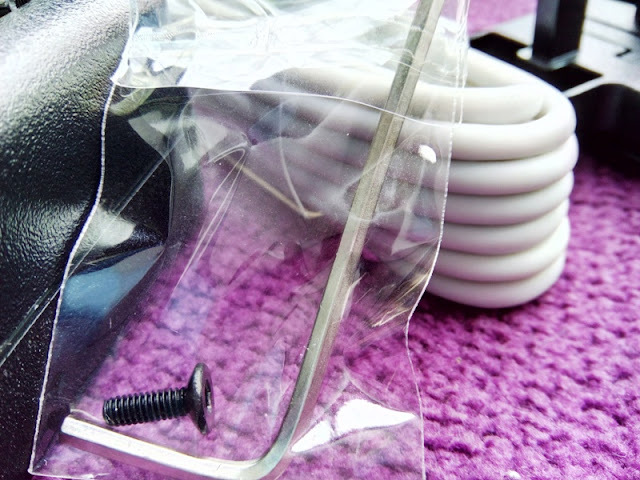 The 2 meter long charging cable plugs at the bottom of the base and the length of the cable can be reduced by wrapping it around the outside of the base. 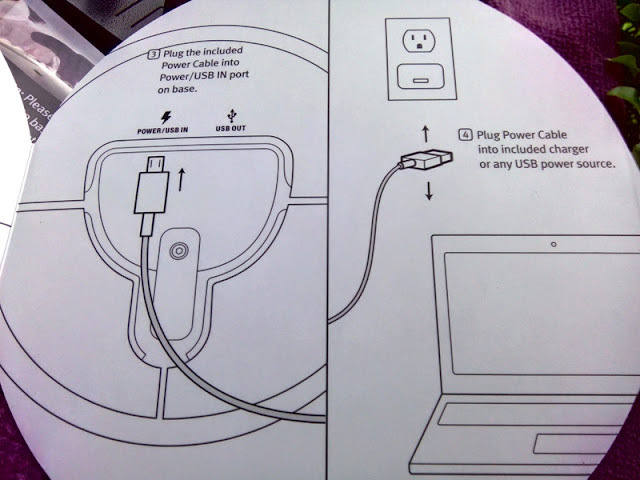 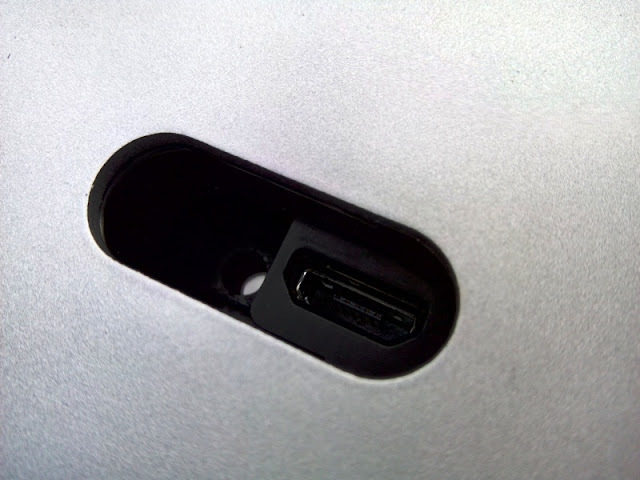 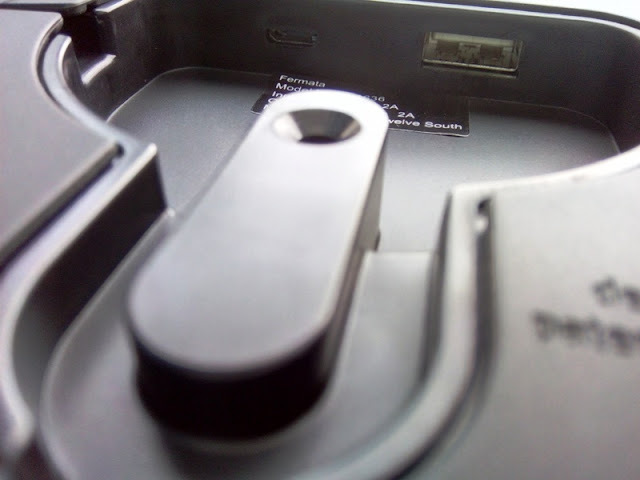 Next to the charging cable port, you will find a USB port which comes handy for charging other devices. 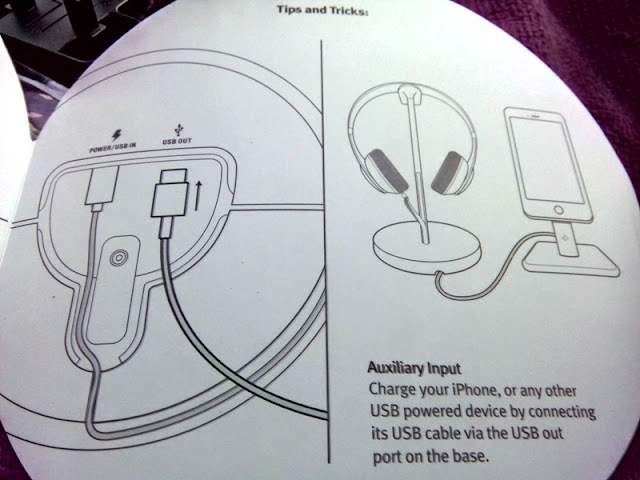 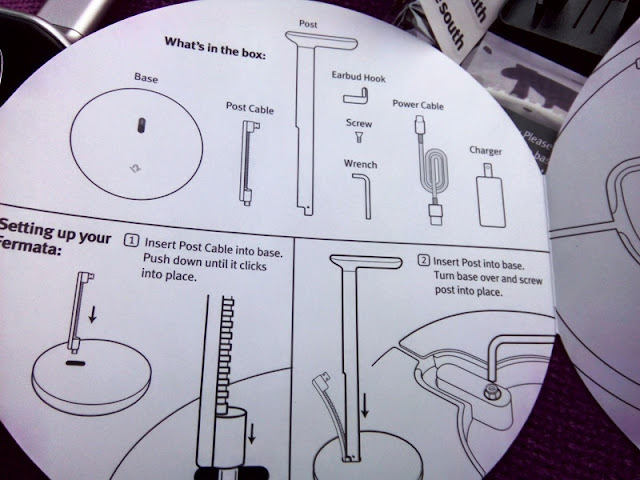 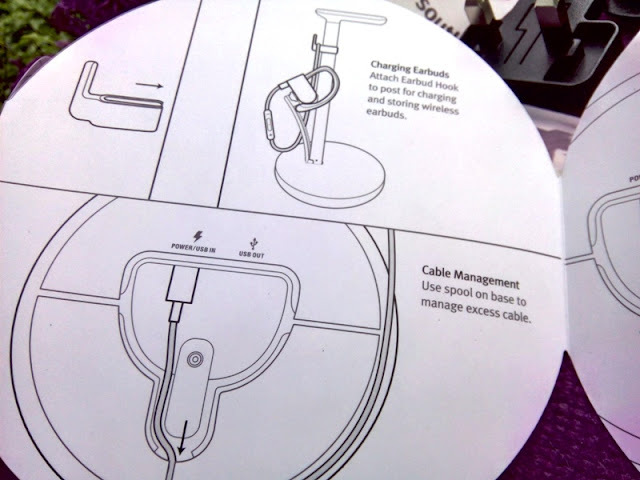 With the Fermata charging cable stand, you also get a handy illustrated booklet showing you clearly how to assemble the charging stand.